Yet again, it’s been a busy start to the week in biotech. A couple of companies have picked up early week gains, but more have suffered, and some considerably. Here are two companies that have struggled so far this week, but might recover medium term. We’ll kick things off with Aduro BioTech Inc (NASDAQ:ADRO). Aduro BioTech Inc (NASDAQ:ADRO) is down close to 25% on the announcement that the company has had to place its lead LADD based agents on a partial clinical hold. The company has reported that the hold doesn’t impact any of its other two trial frameworks, and currently enrolled patients (except one, who had a pace maker) are continuing their dose regimen. Whatever happened, the company is down, so let’s take a look at why, and what it means. The hold is rooted in an infection reported one year after the patient in question started doing on the program. The treatment is based on listeria administration, so any listeria infection (of which this was) suggests that it may be a risky way to dose patients in a particular subset. That sounds bad, but it’s not all that simple. Basically, a woman who is suffering from pancreatic cancer (and who is part of Aduro BioTech Inc (NASDAQ:ADRO)’s LADD trial, while also undergoing chemotherapy) went to hospital complaining of weakness and pain, and as part of a standard procedure, the hospital undertook some tests to see if the pain and weakness was anything to do with infection. The tests came back positive for listeria, and the company had to report the finding as part of standard response to this sort of thing. Now, the infection was found in the PORT, which is basically a small chamber that bridges the gap between the patient’s vein (into which chemotherapy is administered) and the tube through which the agent travels. It wasn’t found systemically, so the patient didn’t actually have listeria. That’s a key differentiation, and one that it seems many haven’t picked up on yet. The company is in the process of putting forward some altered protocols to the FDA to see if it can transition into a smooth post-hold recovery, and we expect this won’t be too much of an issue. Likely just a case of upping an antibiotic regimen pre or post treatment in an attempt to stave off any listeria breakouts further down the line. Moving on, let’s look at Apricus Biosciences Inc (NASDAQ:APRI). This one’s a little simpler. The company is down double digits on a 1 for 10 reverse split. Basically, the situation is this: Apricus Biosciences Inc (NASDAQ:APRI) fell below the $1 minimum bid mark required for its NASDAQ listing. The exchange issued a delisting warning, and since the company has failed to get its price back above the min threshold since the warning, it’s now having to undertake a reverse split in a last ditch attempt. For now, the split looks good, and the company looks as though its going to hold above for the required 10-day period. 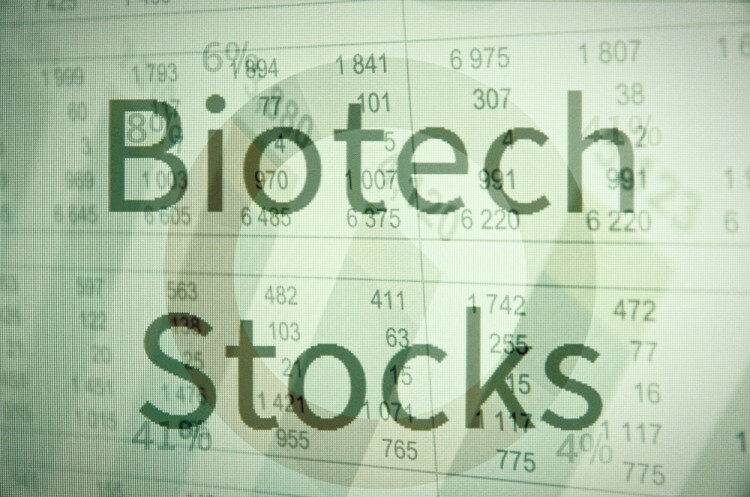 Having said this, shorting reverse splits at this end of the biotech space is a popular strategy, and it can often weigh on prices of the companies that are looking to shuffle capital structure in an attempt to maintain a listing. There’s also the issue of dilution. The company raised twice over the last couple of months, both times diluting shareholders to draw in the capital. It now needs to put this capital to work in and return the value lost through both dilution and the split, in an attempt to reverse sentiment. We see this one holding above (if only just) and going on to maintain its listing.